As I mentioned last week, the Holidays bring joy AND stress...it is good stress, but stress just the same. 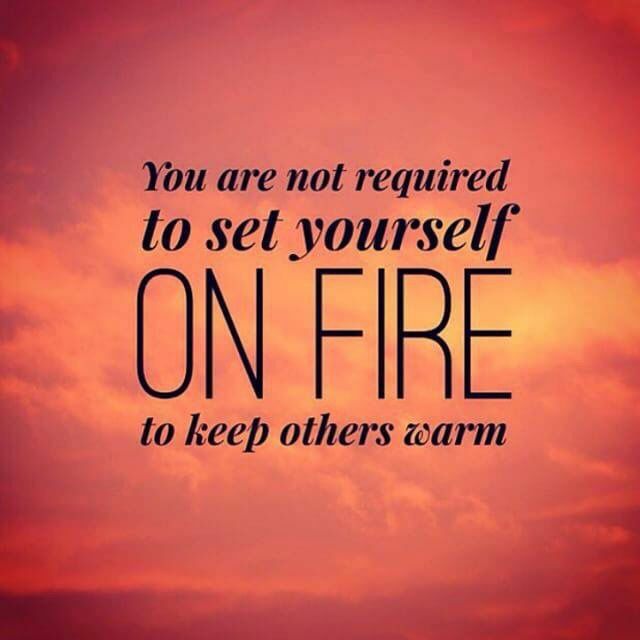 This Fire quote reminds me to do just that. The past few seasons, our family has tried to be intentional about the Holidays and really spend time and energy on what matters to us (not the Jones, but us). Decide What Matters to You! We all know the value of family traditions and the sense of comfort they impart. As a family, we discuss each year what we love about the season and ditch the rest. Going around the room and sharing favorite holiday memories can be just as meaningful as singing every song in the holiday songbook if that has grown tedious over the years. Reading and making Snowy Blowy ice cream on the first snowy day, hiking up a mountain to chop our own tree, and sharing a hot beverage for Tree-Time Stories each night...those are non-negotiables in our house. What traditions mean the most to you and yours this season? We grew up with the sounds of Mannheim Steamroller's Christmas, George Winston's December, and A Chipmunks Christmas while my sister and I video-taped our interpretive dance to Kenny and Dolly's A Christmas to Remember. While I still love all those songs, and think of our headgear-wearing choreography fondly, our parties now rock all night with or without a curated list utilizing “Ok Google, play Baack Holiday Playlist”. Even my Dad is getting in on the fun...although, we do wish it answered to “Odessa!”. Perhaps the ultimate way to create a stress-free holiday is to live by a list. Plan ahead, and don't be afraid to delegate. Even though I may not plan far ahead, all vacations, travel, and events include lists for packing, to-dos, and a timeline. I even make lists with pictures so the kids can help, and asking guests to help with a party-related tasks makes them feel more involved, so never be afraid to ask for help. Here’s a great list for how much food per person. From our Family to yours, enjoy the season!